Li Edelkoort and her team were Inspired by grains and dry goods in Morocco for the Trend Union SS19 colour concept 'Dry Goods'. During her insightful lecture at the September session of Munich Fabric Start we learnt about a seemingly gastronomic approach to colour that encouraged us to think about combining colours the way a chef might experiment with combining ingredients. Edelkoort stressed the importance of using colour as a tool in order to innovate garments, in order to bring newness. Through Dry Goods we experience a colour concept that organically informs texture, pattern, textiles and surface for the SS19 season. 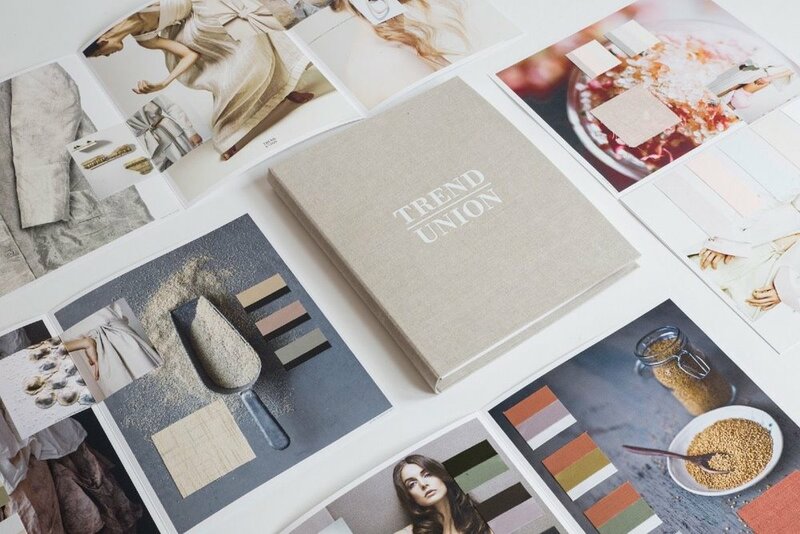 Inspired by the Trend Union seminar Tactile Trends have researched and curated 5 fabric directions with texts and imagery below. 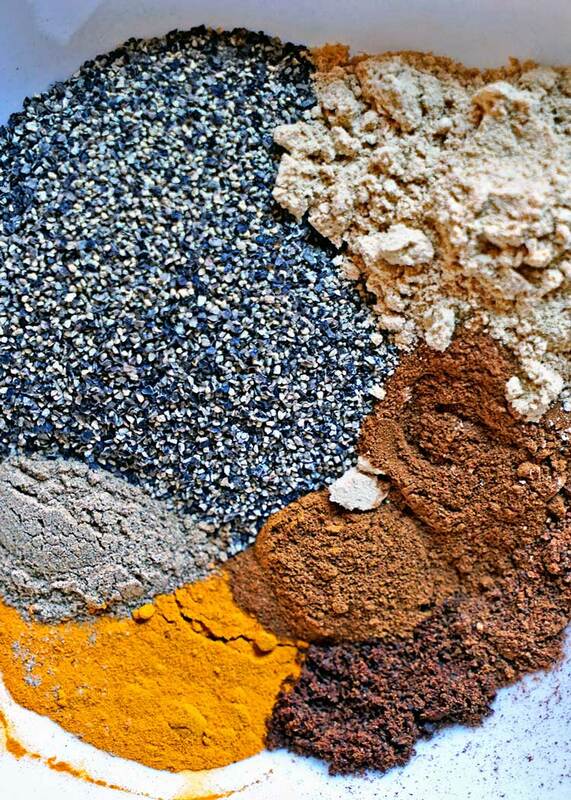 When spices are blended together vibrant colours mingle to inspire rustic melange, space dye and mottled effects in materials. 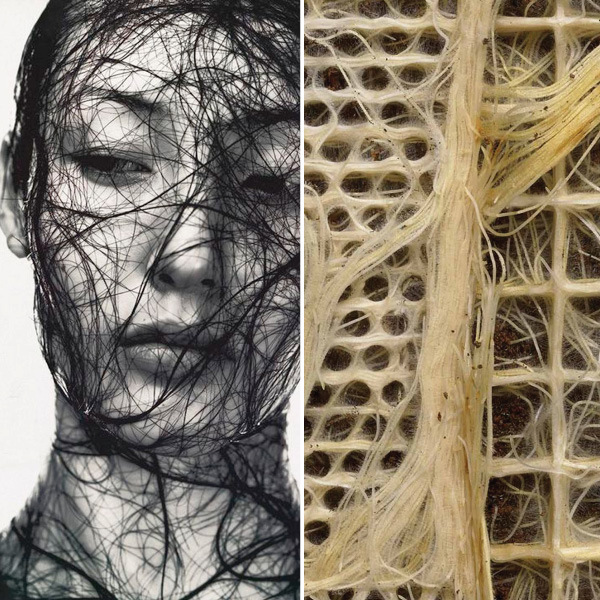 The intelligence systems of plants inspire us to think about root textiles and we look to visual artists like Diana Scherer (below right) who researches how plant roots can be manipulated to make patterns, shapes and eventually textiles. The shape and texture of beans and pods inspire soft geometrical designs with smooth edges and linings. 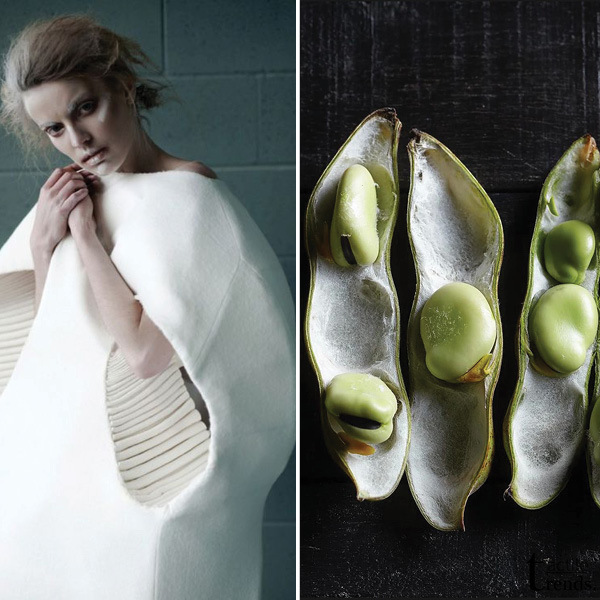 We look to nature to mould ourselves in protective layers just like peas in a pod. The slow art of making preserves makes us think of long comforting days at home with sweet aromas filling the air. The sticky textures of these preserves inform fabrics and materials in the form of seals, coatings and resins. In accessories we look at encasing and the process rather than the textures of preserves. As our knowledge of food and provenance expands so does our need to experiment with materials. Accessories look like they have been mined out of the ground and the colour black is fine tuned like rare lava salt. To be the first to hear about new reports like this sign up to the Tactile Trends newsletter here. Dec 1 AW18/19 - Three Colour Palettes Inspired by the 'Close Contact' Exhibition.